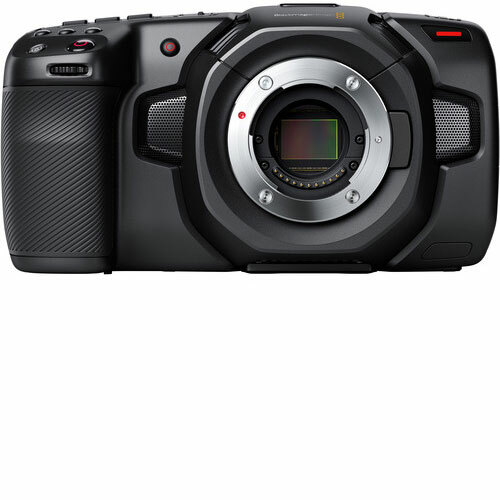 The Blackmagic Design Pocket Cinema Camera 4K hire features a 4/3″ sensor for capturing up to 4096 x 2160 DCI 4K images. Rates are up to 60 fps in a variety of codecs including CinemaDNG Raw/Raw 3:1/Raw 4:1, and various ProRes 422 options. Slow-motion rates up to 120 fps are available in cropped Full HD. Blackmagic Design Pocket Cinema Camera 4K Micro Four Thirds lens mount accommodates the original, lightweight Pocket Cinema Camera lenses. As well as PL, C, EF, and other lenses with the use of separately available adapters. A dual-native ISO up to 25,600 is featured for low-light capture, and 13 stops of dynamic range provide rich HDR images. Record using the internal CFast 2.0 and SD/UHS-II card slots, or employ the USB-C output for capturing longer clips to an external drive. The Blackmagic design Camera 4K hire 5″ touchscreen LCD display reduces the need for an external, onboard monitor. While a full-sized HDMI port enables you to output a signal to a larger display. The menu of the Blackmagic Design Pocket Cinema Camera hire and interface are the same as the ones found on the URSA Mini camera. Furthermore, 3D LUTs can be applied for monitoring or for baking in your look when you’re ready to commit. Blackmagic Design Pocket Cinema Camera 4K is available for rent or hire from RENTaCAM Sydney.